Torrential rains are hitting many areas in downtown Hanoi. 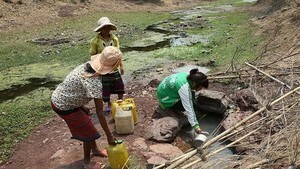 The rainfall is measured at 43mm (Linh Dam); 23mm (Láng), 35mm (Tan Mai); 25mm (Kim Lien) and 18mm (Thanh Tri). 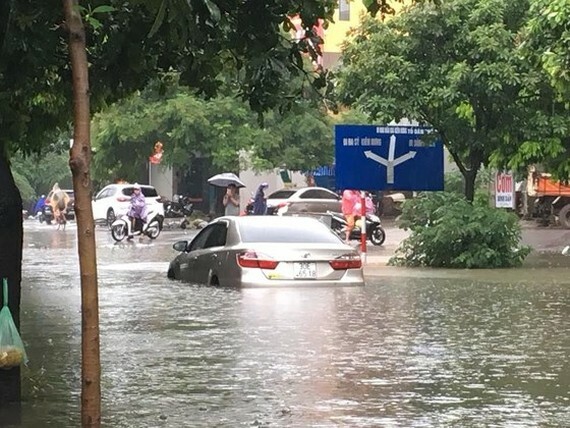 The National Center for Hydro Meteorological and Forecasting said tonight, several areas in downtown Hanoi continue suffering heavy rains on a large-scale. Many main streets such as Ton That Tung, Truong Chinh, Nguyen Khuyen, Boc Pagoda (Dong Da district), Nguyen Xien, Dinh Cong (Hoang Mai district), Doi Can, crossroads Ly Thuong Kiet-Phan Boi Chau-Duong Thanh (Hoan Kiem District), Ho Tay district and Long Bien, Ha Dong districts will be flooded. The center warned heavy rains, thunderstorms and strong winds will hit the capital therefore authorities need to eye on weather situation.